As we sit here at this very moment, right beneath finger tips clicking away on keyboards, culture and society are exploding with change unraveling so fast it can’t even be detected by our naked eye, so to speak. It fascinates and terrifies me, this change which crashes along, bending and breaking everything in its path. Some is good, to be sure. But even the good – it’s too fast for our fragile human psyche to handle and assimilate. It’s too fast to answer the question, “What does it mean?” before it’s off and running with a new wave, in a new direction. I’ve just finished a book by whiz-kid, marketing guru Seth Godin, Unleashing the Idea Virus, ©2001. It is a great little book, with greater ideas, but it’s outdated. It talks about websites that are passé, and it makes no mention of social networking sites. Yes, it’s well worth the read for Godin’s concepts of idea virus and sneezing, but its outdated-ness is startling given that the book is just 8 years old. Take another example: our educational institutions simply can’t keep up with the rate of technological change. The last set of K-12 standards I examined, now 2 years old, did not include technology as an integral part of content areas. I think my humble opinion in this matter extends to the more general consensus that technology needs to blend seamlessly as a tool as used within a given subject area. The bureaucracy that burdens educational change makes it impossible to stay apace with properly implementing technological change in the curricula. 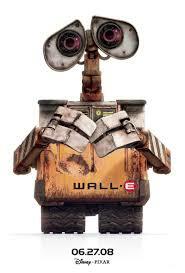 Have you seen the movie Wall-E? I’m amazed this movie was put out by Disney, as it is not their usual fun and frolic film; rather, it is dark and rife with satire. It addresses the whole thing about destroying the planet and wasting of mankind, but with a hopeful, and perhaps even, happy ending. What I really like is that it suggests that man can be destroyed by technology, but with proper handling at a manageable pace, man can regain control and be restored to a simpler life, a simpler time.